Orcas come in a variety of sizes available from as small as 26 quarts to the very large 140-quart cooler. These coolers are available in a variety of colors as well, so that you can tell yours apart from all others. As an added bonus, each time someone purchases a cooler, a portion of the profits will be donated to one of several charities. This includes breast cancer research, women’s outdoor groups, conservation groups, and wounded warrior programs. Each cooler is made in the USA with only high-quality American made components. Every Orca product comes with a lifetime warranty, so you can be sure that you are only getting quality products. And finally, a truth in sizes can be found. When Orca states a specific size, then you can bank on it being that size. Unlike other brands where the stated quart size is actually much less. In Orca, you will find a cooler with massive ice retention times. Manufacturers have stated that ice can last up to 10 days when properly prepped for use. 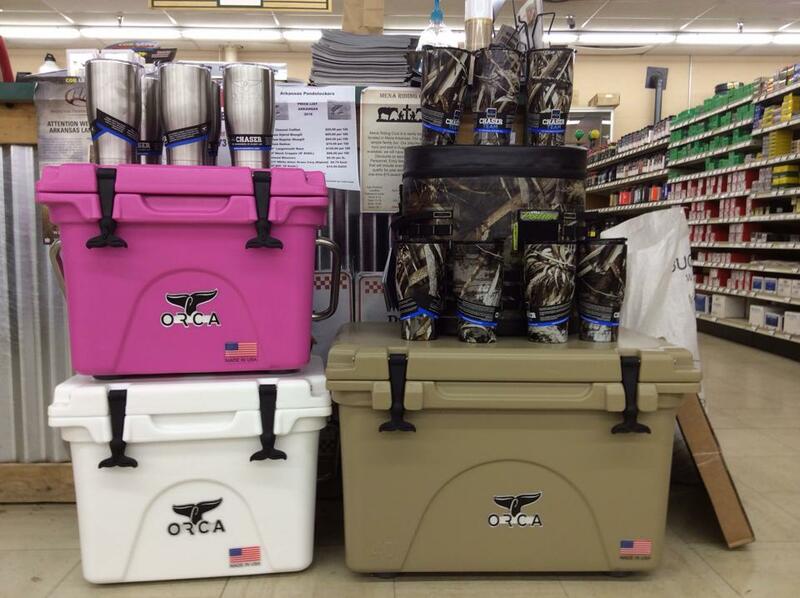 Stop by Farmers Coop in Mena, Arkansas and shop our selection of Orca Coolers and drink-ware items. This entry was posted on Wednesday, June 15th, 2016 at 3:33 pm	and is filed under News & Updates. You can follow any responses to this entry through the RSS 2.0 feed. Both comments and pings are currently closed.